7.30pm with matinees Thur 2pm and Sat 2.30pm. The stunning stage production The Kite Runner is based on Khaled Hosseini’s haunting best-seller novel of the same name. 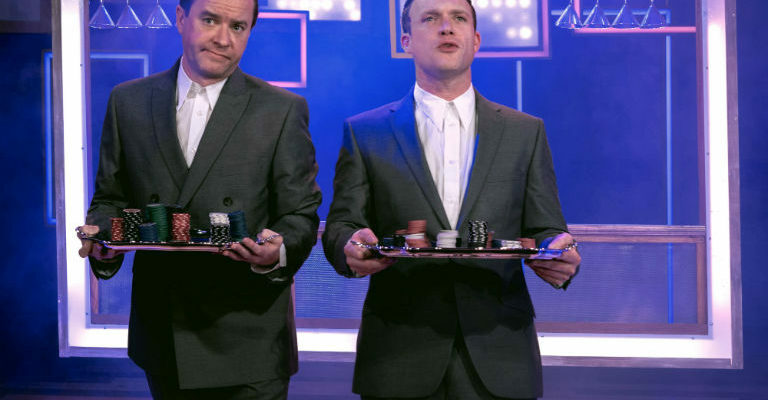 Coming to Newcastle direct from two acclaimed West End seasons, where it played to over 100,000 people and received standing ovations at every show, it is recognised as a theatrical tour-de-force. The Kite Runner, published in 2003, was Khaled Hosseini’s first novel. It became an instant bestseller across the globe and has since been published in 70 countries, selling 31.5 million copies in 60 languages. The cast features Raj Ghatak in the central role as the show’s narrator, Amir. Raj played ‘Sweetie’ in Bombay Dreams in the West End and was nominated for Best Actor and Best Supporting Performance in a Musical. His TV credits include: Tom Hardy’s Taboo, Dead Set (BAFTA winner) and The 7.39 (BAFTA nominated). The music for the production is led by Hanif Khan, a professional tabla player and teacher who has performed both nationwide and internationally. He has worked with some of the leading exponents of Indian classical music such as: Hariprasad Chaurasia, Rajan and Sajan Mishra, Ronu Majumdar, Nishat Khan, amongst others. Audiences have included Prince Phillip, Prince Charles and Sir Paul McCartney. Stage Adaptation is by Matthew Spangler, a playwright, director, and professor based in the San Francisco Bay Area. His other plays include James Joyce’s Dubliners and Finnegan’s Wake; A Paradise It Seems, an adaptation of John Cheever’s short stories; Mozart!, a musical theatre adaptation of Wolfgang Amadeus Mozart’s letters; as well as stage adaptations of John Steinbeck’s fiction; Ernest Hemingway’s short stories; Thomas Wolfe’s The Lost Boy; Clyde Edgerton’s Where Trouble Sleeps; and T.C. Boyle’s Tortilla Curtain (recipient of an Edgerton Foundation New American Play Award). The novel’s author Khaled Hosseini was born in Kabul, Afghanistan, in 1965. Hosseini graduated with a medical degree from the University of California, San Diego in 1993. In March 2001, while practicing medicine, he began writing his first novel, The Kite Runner. Published by Bloomsbury in 2003, that debut went on to become an international bestseller and beloved classic, spending more than 100 weeks on the New York Times bestseller list. In May 2007, his second novel, A Thousand Splendid Suns, debuted at #1 on the New York Times bestseller list, remaining in that spot for 15 weeks and nearly an entire year on the bestseller list. Together, the two books have sold more than 10 million copies in the United States and more than 38 million copies worldwide. In 2006, Hosseini was named a Goodwill Envoy to UNHCR, the United Nations Refugee Agency and has established The Khaled Hosseini Foundation, a 501(c)(3) nonprofit, which provides humanitarian assistance to the people of Afghanistan. He lives in Northern California. Director Giles Croft was Artistic Director of Nottingham Playhouse between 1999 – 2017 during which time he directed more than 50 productions including: The Glass Menagerie; Any Means Necessary; Tony’s Last Tape; Forever Young; Arcadia; The Second Minute; Charlie Peace: His Amazing Life And Astounding Legend. Giles is also a playwright and his work has been produced widely in the UK and Europe. 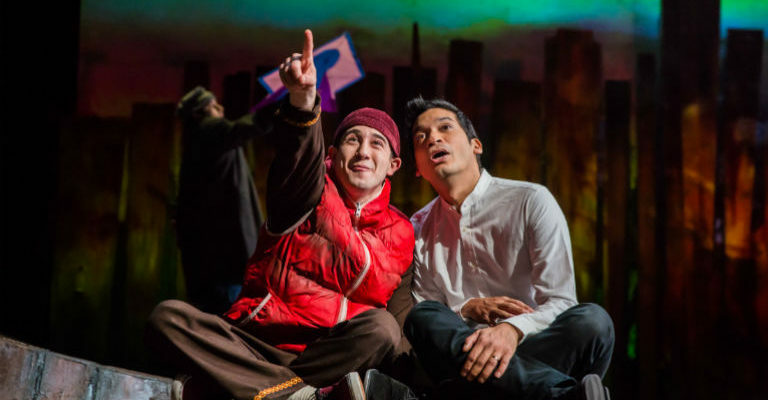 The Kite Runner is produced by Martin Dodd for UK Productions and Derek Nicol & Paul Walden for Flying Entertainment.